Email is a necessity for most of us. We use it to stay in touch with colleagues and friends, keep up with the latest news, manage to-dos at home or at work—we just can’t live without it. Today we announced major improvements to Gmail on the web to help people be more productive at work. 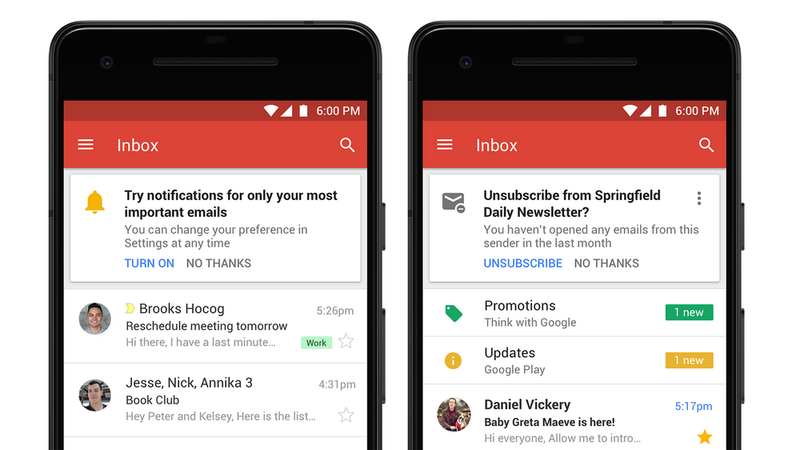 Here’s a quick look at how the new Gmail can help you accomplish more from your inbox. Gmail’s new look helps you get more done. Click on attachments—like photos—without opening or scrolling through large conversations, use the new snooze button to put off emails that you just can’t get to right now or easily access other apps you use often, like Google Calendar, Tasks (now available on Android and iOS) and Keep. 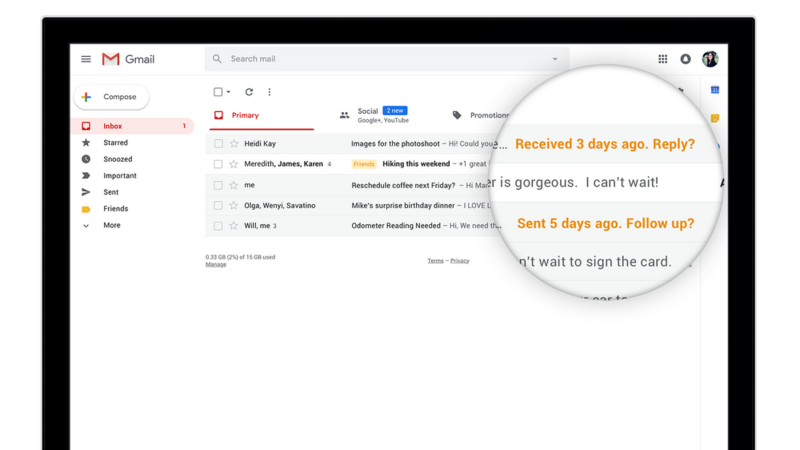 Gmail will also “nudge” you to follow up and respond to messages with quick reminders that appear next to your email messages to help make sure nothing slips through the cracks. We’re also adding Smart Reply to Gmail on the web to help you reply to messages faster. New features on mobile, like high-priority notifications, can notify you of important messages to help you stay focused without interruption. Plus, Gmail will start suggesting when to unsubscribe from newsletters or offers you no longer care about. And you might notice new warnings in Gmail that alert you when potentially risky email comes through. 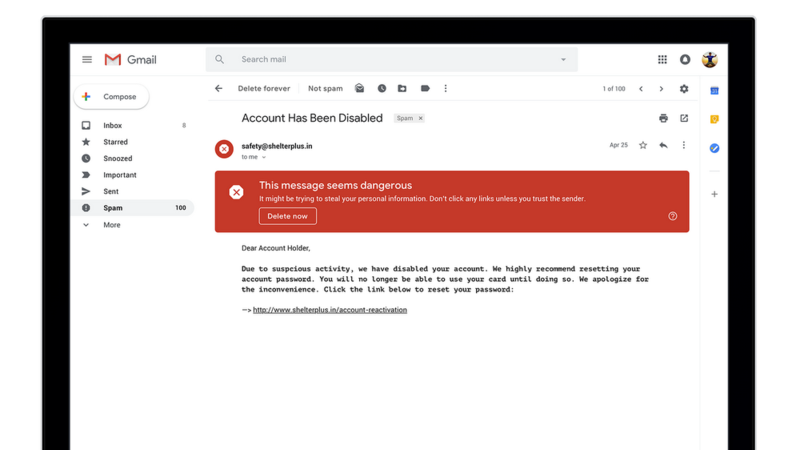 Finally, a new confidential mode allows you to remove the option to forward, copy, download or print messages—useful for when you have to send sensitive information via email like a tax return or your social security number. You can also make a message expire after a set period of time to help you stay in control of your information.